With the amount of technology we use and possibility of having virtual meetings it was nice to have a face to face meeting with the group. Garfield Gini-Newman was also present discussing the importance of critical thinking and best practices in embedding them into the classroom. 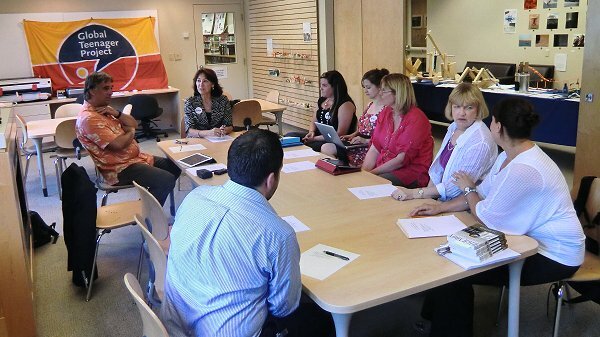 The other teachers involved in the project discussed how they used the project to connect. I really enjoyed the project as students worked on Environmental Sustainability as the main topic. Students collaborated on their own wiki and we posted collectively on the global teenager project wiki (https://gtpenvironmentalsustainabilityfeb2012.pbworks.com/w/page/50830328/FrontPage). We talked to schools from around the world by submitting critical questions and answering. We learned from a global perspective how out activity affects other places in the world. A big development was that we connected counties thousands of kilometers away to work on a common goal. We used Skype to talk to talk to one of the schools in Kenya where we further discussed environmental sustainability. Details of the meeting below. Learning Virtually with Virtual Researcher On Call (VROC) Partnership between University of Toronto and TDSB. 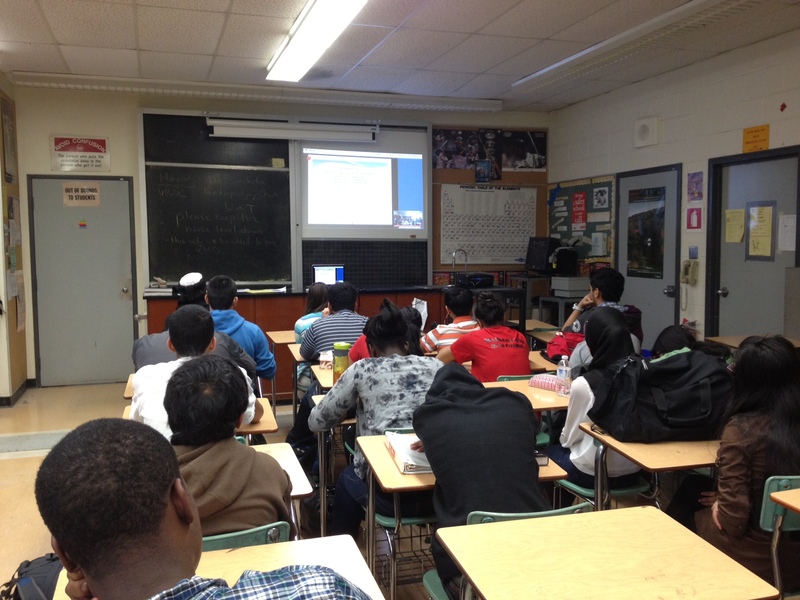 Today our class had a virtual researcher in our grade 11 Chemistry class. 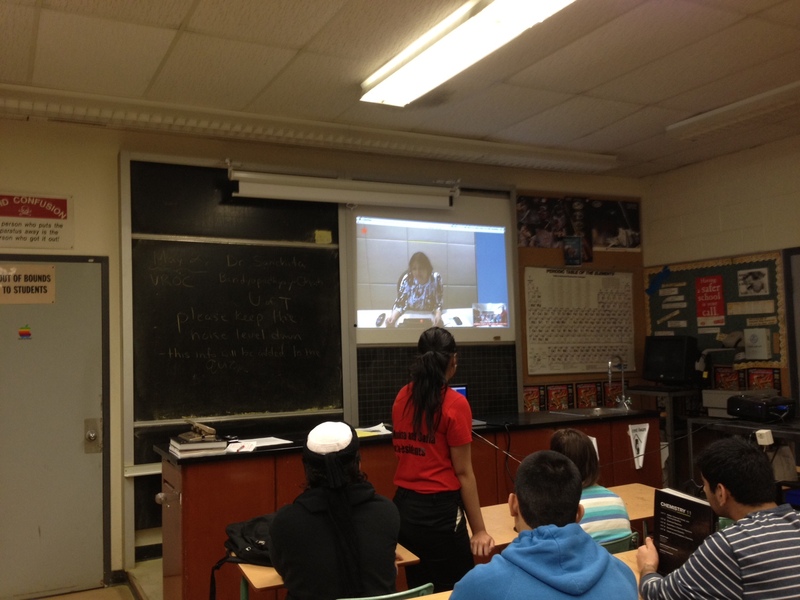 Dr. Sanchita Bandyopadhyay-Ghosh joined us from the University of Toronto to talk about Green Chemistry. She is from Centre for Biocomposites and Biomaterials Processing University of Toronto and works with biodegradable composites, cellulose nanofibres , biopolyol and biofoam. Her lecture was informative discussed the major links chemistry has to industry and the environment. She graciously shared her work in the field and discussed the next steps. She challenged to students to enter into science fields to fix the problems we have and make a sustainable future. She shared her passion for the environment and told the students how she got involved and why she keeps on working in this field. VROC has proven to be an excellent tool for the classroom. We were able to link chemistry to a researcher in the field and look at the environmental impact. Thank you Carol from VROC and Dr Sanchita Bandyopadhyay-Ghosh for participating in an enriching learning experience on Green Chemistry with the Toronto District School Board.